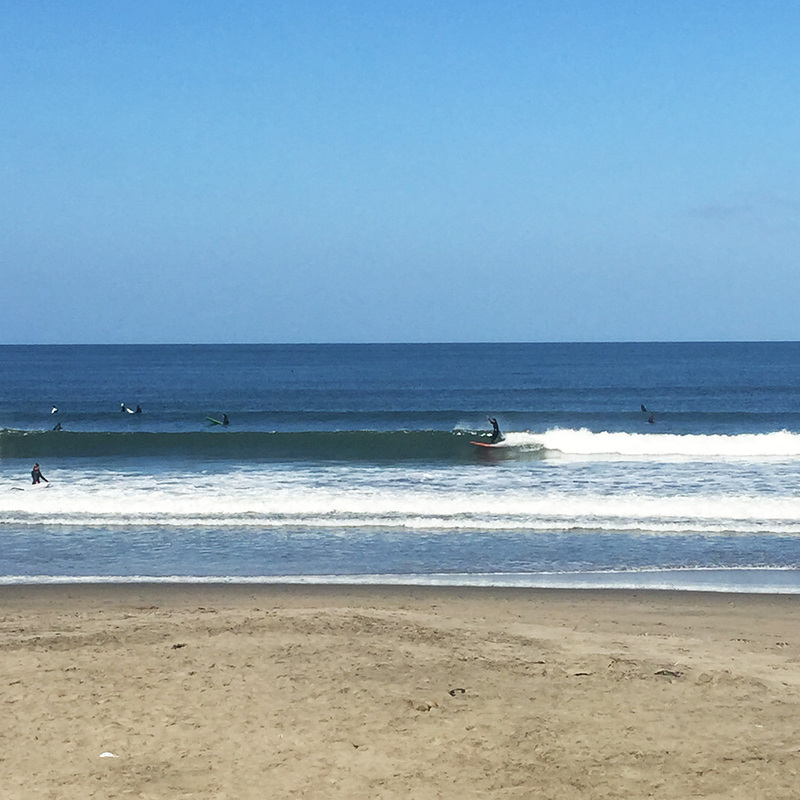 We stayed in the city this weekend (discovered Burma Love on Valencia), avoiding the one day 6-8′ chonky swell and hordes at the beach. Leo said there were probably 300 people on the south end on Saturday and “it was total carnage.” Instead, today’s conditions were smaller but bigger than last week with increasing offshore winds. Looked good to me! Today the egg totally clicked for me and I got some nice drops and the lean forward balance thing I thought of after Friday’s sesh worked. No wipeouts. Just fast, clean rides on this little board. 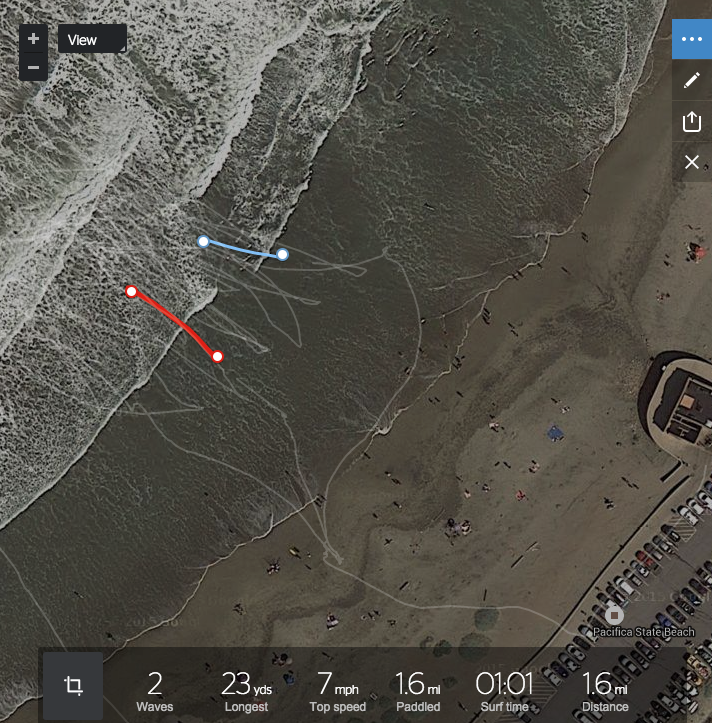 Several lefts, some straightened out, then right, depending on who happened to be next to me. About halfway through, I told Max that on my next wave in, I was going up to the beach to take off my booties. Sure enough, next wave and he waved me in. We both sat on the log for a moment then I headed out first. Woo, cold water on my feet. First time for that. I surf without booties all the time in HI but never in CA. Always thinking I’ll chonk my foot on a rock on the beach or in the water. But it did feel so free today. First wave rolled through and I caught a fast, down the line left, and Max saw it all on his way out :) Felt lighter and felt good to feel my board under my feet. 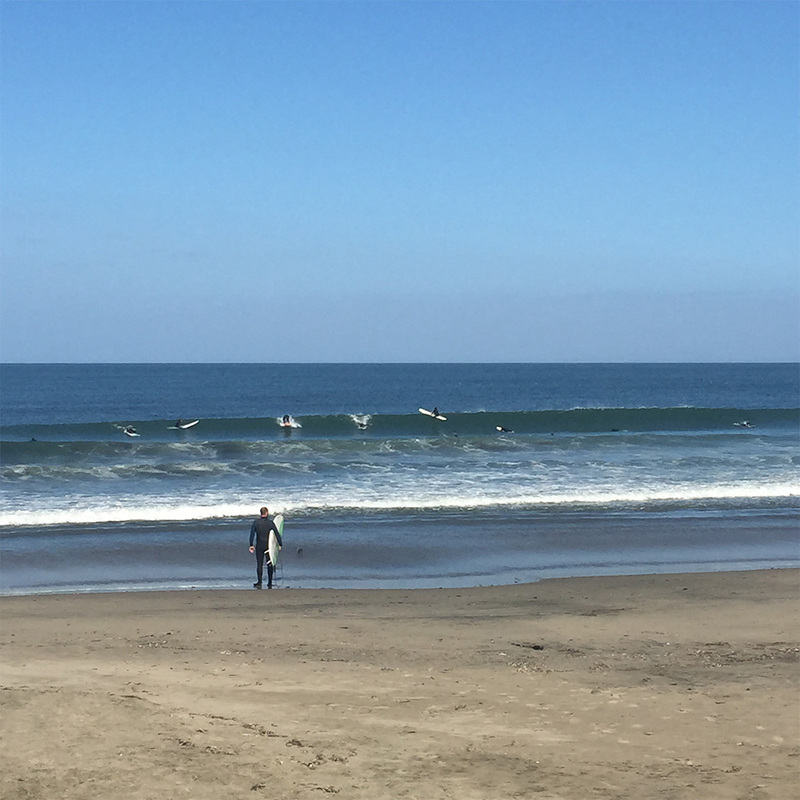 Afternoon Report for SF-San Mateo County: NW swell mix fades as new, small SW swell fills in through the day. Look for knee-chest high surf at most exposures. Best breaks see bigger sets now and then. Winds are moderate-strong from the WSW, making for textured, crumbly surf at unprotected waves. Tide rises to a 5.43′ at 5:39pm.